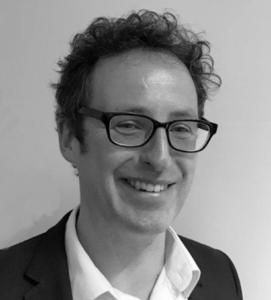 The Trust’s Vulnerability Lead Chris Fitch explores concerns over the Financial Conduct Authority’s (FCA’s) proposed new definition of vulnerability. Yesterday I was pleased to speak at the Financial Conduct Authority’s event on their Consumer Approach paper – and doubly pleased to be invited to speak twice, at two extremely useful breakout sessions on the regulator’s plans for vulnerable consumers. In 10 years working with vulnerable consumers, I have never known a greater focus from the financial services industry on this issue. My latest research, co-authored with Colin Trend and Jamie Evans, showed the scale of improvement on mental health, in particular.  The Money Advice Trust has now trained more than 11,000 staff in over 160 organisations – and demand for training on this broader range of circumstances, such as serious illness and addictions, is increasing all the time. This good work, in large part galvanised by the report Financial Services Vulnerability Taskforce, owes a great deal to the FCA’s focus on vulnerability, and its ground-breaking Occasional Paper in 2015. The fact that this has influenced so many other regulators and firms – in the energy and water markets in particular – is a further testament to its impact. I am concerned, however, that this progress finds itself at risk of falling victim to unintended consequences of the FCA’s Consumer Approach paper – and it’s proposed new definition of vulnerability. The FCA’s occasional paper from 2015 defined vulnerability as ‘a vulnerable consumer is someone who, due to their personal circumstances, is especially susceptible to detriment, particularly when a firm is not acting with appropriate levels of care’ – a definition that is clear and concise, and has been widely adopted as a result. Several problems with this definition are immediately apparent. The framing of vulnerable consumers as those who can “readily” be identified – in other words, those who might be considered as being spotted ‘easily’ and ‘without difficulty’ – could be interpreted as both lowering the bar in terms of what firms are expected to identify, and also a shift in responsibility away from firms and towards consumers to disclose, which I am sure is not the FCA’s intention. The idea of being “less able to engage with the market” similarly, in my view, does not capture the right balance between the actions of customers and the actions of firms. Nor does this definition of “vulnerable consumers” capture the transitory nature of vulnerability. The Trust and many of the firms that have led in this area – along with the report of the Financial Services Vulnerability Taskforce – instead refer to customers in vulnerable circumstances. The FCA should consider doing the same. To any readers wondering whether I am splitting hairs – I would argue that on such an important subject, words really do matter. The FCA’s definition of vulnerability will directly influence the industry’s approach. Indeed, in the few short weeks since the Consumer Approach paper was published, I have already spoken to firms who are reviewing their policies against this new definition as though it were already agreed and in place (rather than being out for consultation). That worrying fact has lent a sense of urgency to my concerns – and I am pleased that a group of organisations including the Money Advice Trust, Money and Mental Health Policy Institute and StepChange Debt Charity have been able to work together to raise this issue jointly with the FCA at this early stage of the consultation. It is important to emphasise that this is a consultation – and yesterday’s FCA event showed the regulator is genuinely seeking views on this and other elements of its future approach. The Trust’s chief executive Joanna Elson and I were both invited to speak at this event, and we both took the opportunity to express the concerns that exist over this proposed definition. I firmly believe they are being taken seriously – and indeed the FCA has responded constructively to our joint letter with others in the sector. Our challenge now is to make sure that the financial services industry’s good progress – and the increasing progress being made in other sectors as a result – is not undermined by unintended consequences of this redefinition. I look forward to working with colleagues to make this case.